Once I get the information above, I can usually get you pre-approved in one day, and get your loan closed in 30-45 days after you get an accepted offer on a home. Your first house payment usually starts 30-60 days after you close. Your loan pre-approval is usually good for 60 days. I don’t need originals, copies are fine. You can fax or email me the above documents, or meet me face-to-face if you wish to make copies and go over your options. Thanks and look forward to helping you. Refinance Guidelines and Information for Kentucky VA Mortgage Loans. Borrow up to 100% of the home’s value. Unlike other programs that only allow 80% or 85% of the home’s value. No Income or Asset verification is required. We don’t need your paystubs, w-2’s tax info, or bank statements. Much easier qualifying. No Appraisal is required (unless Discount is being charged to borrower – see below)—-VA does not require a new appraisal. So even if your home has not equity or went down in value, we can go off on old value when doing a rate and term with no cash back. No Credit Qualifying. Meaning we don’t have to repull credit again and check your fico scores. Just verify your last 12 months mortgage history is on time. VA Funding Fee is .50%, much less than the 2 or 3% you pay when you buy the home, If disabled, you will not have to pay the funding fee. Kentucky VA loans may be used to replace an existing mortgage, called “refinancing.” A KY VA refinance may be used to reduce an existing interest rate, change loan terms or a combination of both. The most common reason to refinance is to lower the monthly payment. A borrower may take out a KY VA loan then later see that interest rates have fallen and are lower than an existing rate. By refinancing, the borrower can replace the old loan with a new one to obtain the lower rate and subsequent lower mortgage payment. A refinance can also make sense when changing loan terms such as switching from an adjustable rate mortgage to a fixed rate or adjusting the term of the loan to save on interest charges. As long as you’re reducing your current mortgage payment, not taking any cash out or switching from an adjustable rate mortgage to a fixed rate loan, you may qualify for this unique program and you don’t have to use your existing Kentucky VA lender in order to benefit from the Kentucky VA streamline mortgage. Cash out refinance loans allow the borrower to pull out equity in the home in the form of cash during the course of a refinance. While the VA doesn’t establish a maximum loan amount, most VA lenders do place limits on the loan based upon the current value of the property and the final loan amount. Lenders may limit any cash out loan to 80 or 90 percent of the property’s current value. If taking cash out of your home is needed and you have sufficient equity in your home, it may be better to obtain a home equity loan or refinance into a conventional mortgage. QUESTIONS ABOUT A KENTUCKY VA MORTGAGE REFINANCE. CALL OR TEXT ME TODAY. I HAVE DONE OVER 200 VA LOANS IN MY CAREER AND A FORMER ARMY TANKER THAT HAS USED A VA LOAN FOR MY OWN FAMILY. Anything being paid off other than a first mortgage lien is considered cash out. Buyout of spouse’s equity per divorce decree. Borrower may not receive more than $500.00 cash at closing. Total loan amount is limited to 90% LTV plus Funding Fee. No refinances are allowed within 90 days of the property being listed for sale. Letter of explanation containing the reason the property was listed for sale; the reason the property was taken off of the market; and the borrower’s plans for the property over the next 12 months. Application cannot be dated prior to 30 days after the property has been taken off of the market or the listing has expired. 0x30 payment history required over the previous 12 months. For limited cash out or rate/term refinances, any non‐mortgage debts, collections, judgments or liens that are to be paid off must be paid prior to closing in order for the transaction to be considered as a limited cash out or rate/term refinance. Primary Residence refinances only; Non-owner occupied and second homes are not eligible. Must be refinancing a current VA insured mortgage. All borrowers on previous Note must be on new Note. Maximum term is term of the original loan plus up to 10 years not to exceed 30 years. Subordinate financing may remain at max 125% CLTV. Subordinate lender must agree to re-subordination. A credit report and 620 minimum credit score is required but sections V, VI and a-k of VIII of the application are not required to be completed. As of December 1, 2010, employment information for the borrower(s) is now required to be completed on the loan application (Section IV). No income amount or income information is required. Only a Verbal VOE will be completed. Minimum 2055 conventional appraisal is required. The total loan amount (base loan amount + VA funding fee = Total loan amount) must be supported by the value of the property. Appraised value must be equal to or greater than the total loan amount. Max LTV/CLTV is 100%. Employment and Income documentation is not required. No refinances are allowed within 6 months of the property being listed for sale. Borrower must have made a minimum of 6 payments on current mortgage with 0x30 pay history to be eligible for VA IRRRL. New P&I increases more than 20% over previous Note P&I when the mortgage term is reduced or when refinancing from an ARM to a Fixed rate. New P&I increases more than 20% over previous Note P&I on a primary residence or when a borrower is removed from the Note. Total loan amount is limited to 90% LTV plus Funding. LTV is based on the lesser of the appraised value or acquisition cost on properties with less than 6 months ownership seasoning. The funding fee for second time users who do not make a down payment is slightly higher. Also, National Guard and Reserve Veterans pay a slightly higher funding fee percentage. See Loan Fees for more information about loan costs. 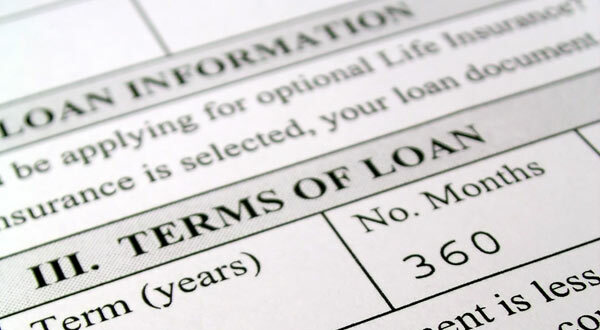 Some lenders offer IRRRLs as an opportunity to reduce the term of your loan from 30 years to 15 years. While this can save you money in interest over the life of the loan, you may see a very large increase in your monthly payment if the reduction in the interest rate is not at least one percent (two percent is better).Beware: It could be a bigger increase than you can afford. VA Refinance Loans For Conventional, FHA, Sub-Prime and Existing VA Mortgages | VA Loan News Blog. But do you know which VA loan option works for you in your situation? Can a Fannie or Freddie loan be refinanced as a VA mortgage, or can a conventional loan qualify for VA streamline refinancing? There are several options for VA refinance loans. Borrowers who want to get cash back on the refinancing deal, regardless of the type of mortgage being refinanced must explore their VA Cash-Out Refinancing loan options. These loans are appraisal required and also require credit underwriting, which means you’ll be required to submit a credit application much like your original home loan. Cash out for VA refinancing is not available for VA Streamline Loans, and the VA home loan program does not offer personal loans–borrowers who want cash back should apply for VA Cash-Out and expect the amount of the cash back to be calculated once the original mortgage has been paid off, plus the amount of any included/financed fees or points. VA loan rules permit any type of mortgage loan to be refinanced with a VA Cash-Out Refinance loan. VA Streamline Refinancing, on the other hand, is aimed specifically at those who have existing VA loans. This type of VA refinance loan is meant to lower the payment and/or interest rate on the mortgage–in fact, there’s a requirement that this happens in most cases. Borrowers who include extras into the Streamline Loan such as the VA Energy Efficient Mortgage (EEM) Option may find their payments higher on the new loan. This can be allowed under the right circumstances, but if your payments increase by more than 20% you will be required to submit a credit application. These options may or may not be right for you depending on your financial goals and needs. The best way to determine what’s right for you may include a chat with a loan officer about the VA EEM and the inclusion of the VA loan funding fee into the loan amount where applicable. the first requirements in the VA loan application process is that the borrower must show he or she is eligible for a VA guaranteed home loan. This is done by presenting the lender with a VA certificate of eligibility (COE), or asking the lender’s help in obtaining one. Borrowers may need to attach electronic copies of their DD Form 214 or evidence of their current military service status as part of the application form. If you prefer to get your VA COE with the help of a lender, be ready to show required proof of military service including current military orders or a copy of your DD Form 214 report of discharge. You may also need to provide Social Security data or a copy of your Social Security card and other information. You can also apply for a COE by mail–you’ll need to submit VA Form 26-1880, Request for Certificate of Eligibility and any required additional paperwork to theDepartment of Veterans Affairs. Call them at 1-800-827-1000 to get the current mailing address for COE requests. Some applicants–surviving spouses of military members who died from a service-connected disability, for example–are required to apply by mail.